The Android Accessory Protocol or “Android Open Accessory” Protocol, enables intercommunication between Android devices and microcontrollers (among them several ADK-kits). Low level microcontrollers like the Arduino DUE or the Mega ADK offer a way to communicate using the Accessory Protocol, however, they sometimes fall short in terms of compatibility and stability due to the complexity of the USB communication. A device with a Linux kernel however, usually has a much more sophisticated software implementation. This in turn makes it an attractive platform for USB communication. If you have been playing around with an ADK-kit and came to no result with your Android device, then this blog post will enable you to determine if it is your ADK-kit’s or your Android device’s fault. Contrary to the Android USB Host API, the Accessory API is supported on a much wider range of devices. There are pros and cons for both ways of communication. In order to accomplish USB communication with python, the “pyusb” package will be the library of choice for this example. Be aware that it will require a small tweak to work properly on Ubuntu (tested with 13.04). 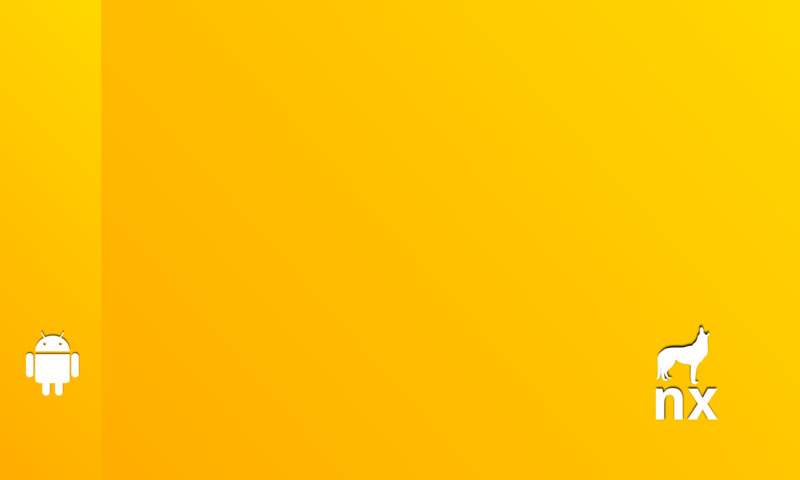 Let’s have a look at a python code example. It will contain all steps required to put your Android device into “accessory” mode and start communication with your Desktop (or Arduino YÃºn / Raspberry Pi). DESCRIPTION = "A Simple Slider"
These are the parameters required by the Open Accessory Protocol to initiate communication. 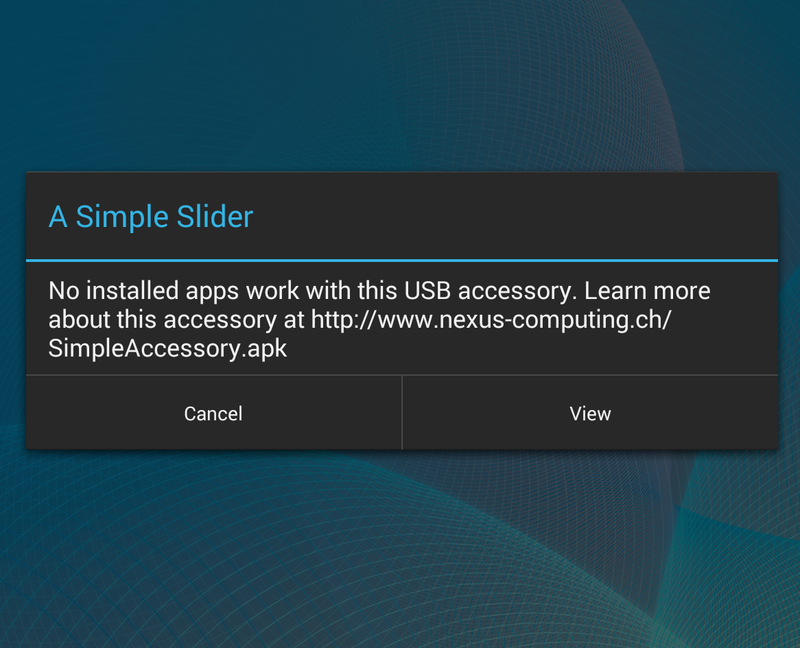 If no application is installed on the Android device to handle this kind of “accessory”, the user will be prompted to head to the website described in the “URL” string. All other parameters are used to let the Android application identify the type of accessory. Make sure that you create the “accessory.py” and “attribs.py” files in the same folder. Let’s have a closer look at the code. The accessory_task() function is crucial to this program. It will try to find an Android device that is already in “accessory mode” indicated by the product ID of the device. If a device in accessory mode is found, it is configured for communication. 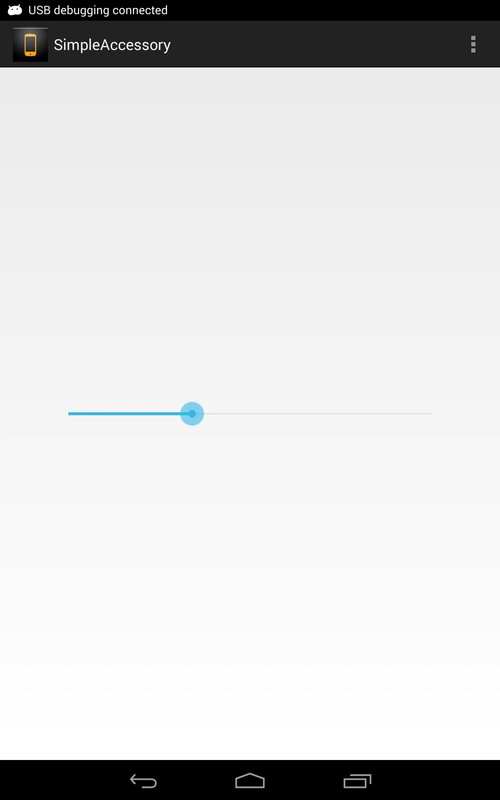 This will launch a dialog on your Android device, either indicating that the installed Android application should be started or showing a hint to the website of the application. Some Android devices like the old Nexus S seem to be requiring some time to process the communication initialization here, we therefore add a one second sleep. After setting the device into accessory mode, the data endpoints for IN and OUT transfers are referenced for further communication. It is now possible to send data between Android and the Desktop back and forth. As you may have noted, a separate thread is created to continuously send data to the Android device. 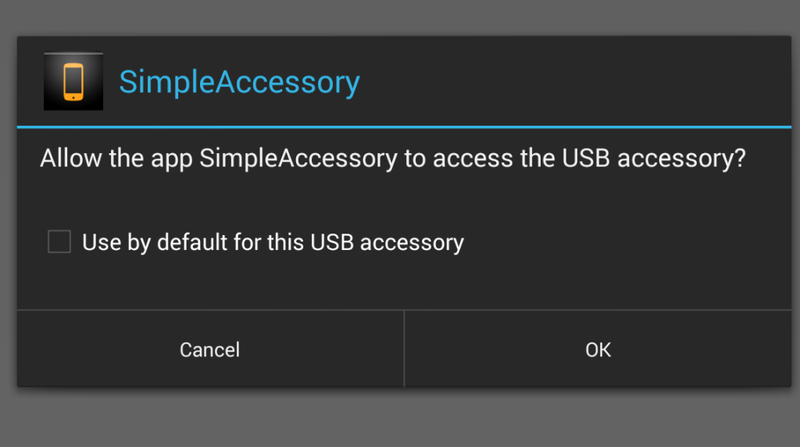 This is necessary since the Accessory protocol has a known bug that does not permit to close the connection to the USB accessory from the Android side. However, every time data is received by the Android device, the main loop of the Java application can check if the channel should be closed and the resources freed. The actually interesting code for program implementation is in the main loop of the “accessory_task” function. There is one particular flaw at this point. In the main() function, communication will be initiated every five seconds if there is an error (i.e. no device found) which causes unnecessary CPU wakeups. If you are working on Linux, you will instead be able to catch an “USB plugged” event and fire up your application logic selectively. In order to do so, let’s change the main() method to listen to kernel messages indicating a change of an UEVENT state. Note that there might occur uninteresting events as well, but this will be dealt with by throwing a ValueError exception when unsuccessfully connecting to a potential accessory. At this point you should be able to run the application. Make sure you disable ADB over USB since it will deny the communication as it claims the device first. You could even enhance the script some more and extract information like vendor and product id from the uevent data. Have a look at the more sophisticated version of accessory.py. Note that the netlink part will most probably only run on Linux. 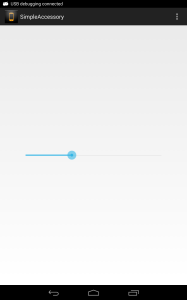 Now connect your Android device and see a dialog pop up. Note: If your Desktop does not find the connected Accessory, you should check if the Vendor ID of your Android Device is different from “ACCESSORY_VID = 0x18D1” and hence you should adjust it. You can check it using the lsusb command from the terminal on a Linux machine, or find it programmatically via pyusb. Have a look at the somewhat more sophisticated version of accessory.py if you are interested in this. Sadly, the standard image of the Arduino YÃºn does not include pyusb, yet it includes the libusb1.0 library, which makes it kind of easy to add it to the build. First, log into your Arduino via SSH and then install pyusb. Using opkg you can easily install the python dependency from the repositories. As mentioned in the YÃºn guide, the package index is not saved persistently and thus needs to be refreshed on every boot using “opkg update”. In the following instructions adjust the IP address for your YÃºn device. This should deploy and start the pyusb setup as well as the application setup. If you connect your Android device to your Arduino YÃºn, the same output as on your Desktop machine should follow. As you may have noticed, when executed with no arguments, the accessory.py script will run in a loop and listen to a socket for udev messages from the Kernel to be notified once a USB device is plugged in. While this is already a significant upgrade to the polling 5 seconds approach, the application is still using memory when it is not used. OpenWrt features the hotplug.d system which is a very light weight variant of udev. Modify the file “/etc/hotplug.d/usb/10-usb” and adjust it to start the python script. This shell script will be started whenever a USB device is connected. The python script “accessory.py” will take care of connecting to the device using the $PRODUCT parameter. This way the script is only fired when a device actually connects to the YÃºn. Did something not work for your setup or did you find a bug in the code? Please post a comment so we can keep the guide up to date. We hope this tutorial got your project started and cleared some of your questions about Android and the Accessory Protocol. Give us a +1 if you liked it or even better leave a comment. Just to let you know, your post for the same feature in C has been really helpful (you are number 1 in my ressources list on the link above). I want to use this protocol in a robotics project. It is basically a “HRI” (human robot interface) project where the cognitive part will be assumed by an Android device. Android devices are low-cost and full-features sensors. Google now (or Siri on iPhone) is the kind of interface I want to build but for a robot. The progress are quite slow, since I lost a lot of time with ROS and Gazebo for the simulation part. And everything is highly experimental after all. I would say there is a good match between my project and what you want to develop for Android platform, especially for the cognitive part. So if you are interested in a collaboration, send me a mail. I will also send a mail to nexus-computing. Excellent post – just what i needed! I have the same problem, except in my case the python code terminates as soon as the device is in accessory mode. So I don’t get to see the ‘1 bytes written’ line. Did you install a fresh pyusb library? I am getting a ImportError: No Module named core. Do you know how to fix this? You should install the library pyusb. If not the data are not sent. Certainly waiting for the internal buffer to be full. Awesome, but the links are dead. Is the Python code still available? Thank you so much for pointing out the broken links, the most likely did not survive our last website update. Anyways we uploaded the example files to a new location and fixed the link in the post. Glad you liked the article and thanks again for helping out! Can I have an .apk file as I am not finding it on website. As soon as I launches the app while running the code. The app do not launch it get crashes out. I’m using this command to make accessories mode “python android-usb-audio.py ” and the phone is going to accessories mode but the problem is i need hdmi output as well as usb o/p and audio should play in hdmi-tv/usb-audio. I configure all the settings provide above but not getting sound. I m also tried using arecord & aplay for normal mic&Speaker ,It was working fine but when i use my android phone in accessories mode as a audio device i’m just getting a file of 44 bytes but nothing is recording in that file. please help me. Hi, the guide is very interesting. Thanks for it. When I connect the phone, I get an error related to the read function, as follows. Any help? Excellent tutorial Manuel!. I wanted to know why the python code is not able to trigger the SimpleAccessory App on my phone. I get the following message whenever the PC tries to talk with the phone “No installed apps work with this USB Accessory”. Kindly let me know why such an error is existing. Thanking you! In anticipation of your reply. Is there a way to run this program in windows on a python idle?